The Danish guitarist and composer Jakob Bro has won the Danish Music Awards for best jazz album several times, most recently in 2015 with the album "Gefion". 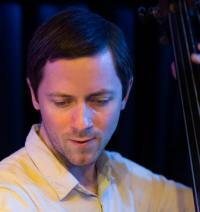 He will perform with his trio, which consists of bassist Thomas Morgan and drummer Joey Baron. 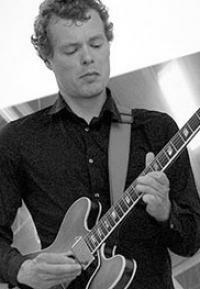 In September last year Jakob Bro released the critically acclaimed album "Streams" on ECM Records. ECM-founder and producer Manfred Eicher har previously mentioned that Thomas Morgan is one of the most interesting and talented bassists he has heard. 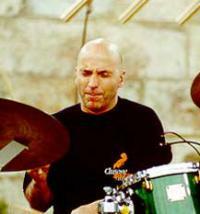 The American avant-garde drummer Joey Baron was a member of the Bill Frisell Band for a decade and has played with an impressive list of musicians including Dizzy Gillespie, Chet Baker, John Scofield and Stan Getz. It is truly going to be a jazz tour de force, when this trio takes over the Montmartre stage during this year's Copenhagen Jazz Festival. Den danske guitarist og komponist Jakob Bro har adskillige gange vundet Danish Music Awards for bedste danske jazz album, senest i 2015 for albummet "Gefion". Han kommer med sin trio, der består af bassisten Thomas Morgan og trommeslager Joey Baron. Med denne trio udgav Jakob Bro i september sidste år det anmelderroste album "Streams" på ECM Records. ECM-grundlægger og producer Manfred Eicher har før udtalt, at Thomas Morgan er en af de mest interessante og talentfulde bassister, han har hørt. Den amerikanske avangarde trommeslager Joey Baron var en fast bestanddel af Bill Frisell Band i et helt årti, og han har spillet med lang række af stjerner som Dizzy Gillespie, Chet Baker, John Scofield og Stan Getz. 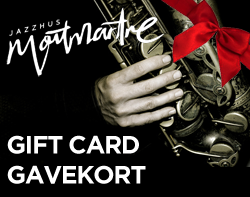 Det bliver en sand jazz tour de force, når den velspillende trio giver den op til dette års Copenhagen Jazz Festival.